It could be said of so many movie moments, but describing the horse-head scene as one of the most iconic in American film history is no exaggeration. 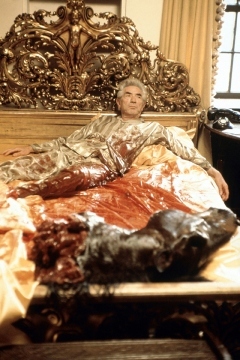 It was already famous from the book — only in Mario Puzo’s novel, the horse’s head was on the bedpost when Jack Woltz wakes up. Audiences rose up in anger over the death of the horse, and many asked if it were a real animal head.